Charles L. Levison, M.D. ANDREW RACETTE, D.O. T.E. McCauley, M.D. 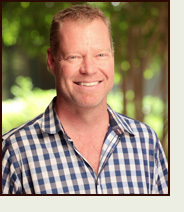 Dr. David J. Anderson is a twenty year veteran of clinical eye-care, he is an expert in the chronic allergic response. He has lectured for both Alcon and Inspire on the treatment of Dry Eye and Allergic Conjunctivitis and their relationship to one another and has developed and presented several COPE approved continuing education lectures on the subject. His enthusiasm for allergic conjunctivitis, and dry eye started as a student and has remained unabated over the years as witnesses by his intense enthusiasm on the subject whenever he speaks formally or informally on the subject. In addition he is a strong advocate of Optometrists practicing full scope medical eye-care to the benefit of their patients. Since being diagnosed with type two diabetes his new focus entails reducing the morbidity of diabetic retinopathy with a new program to improve eye care delivery to the diabetic patient population and is also pioneering telemedicine in this area. Dr. Anderson has four kids, two boys and two girls ages 5, 7, 9 and 11. He enjoys healthy living, avid mountain biker, hiker and works out often. Dr. Anderson is also a perpetual remodeler of houses and considers himself a "closet contractor".